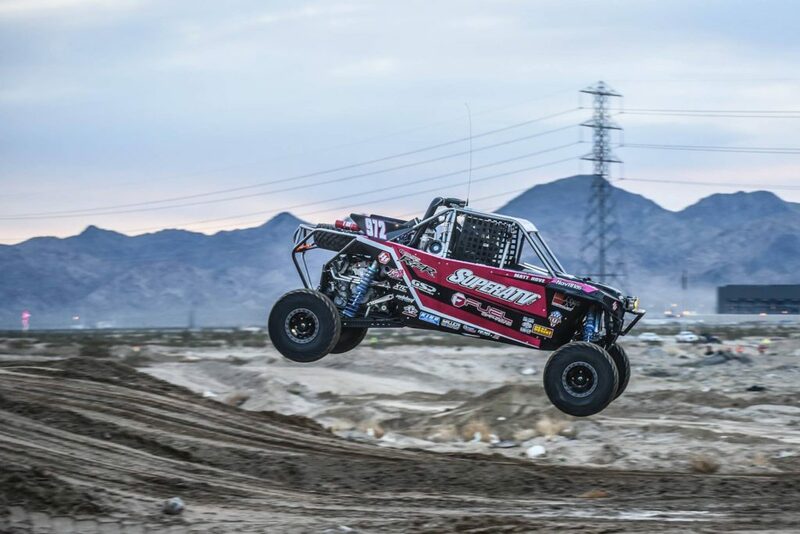 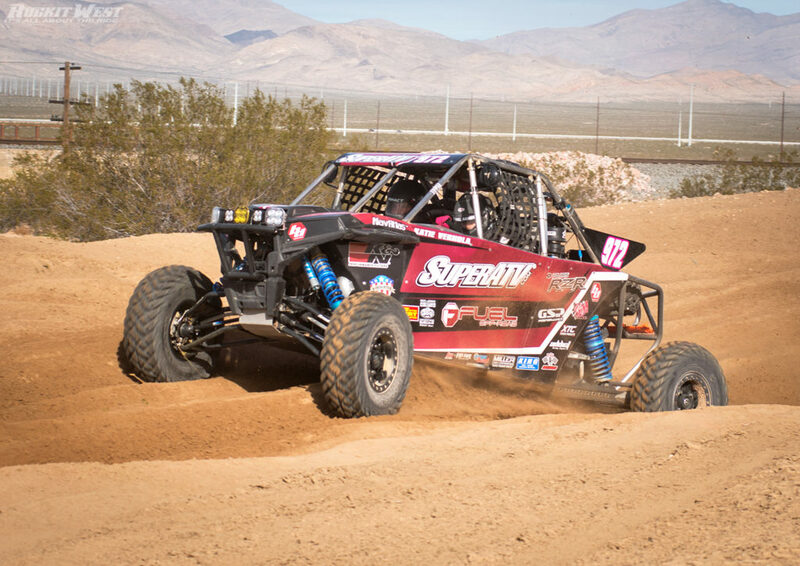 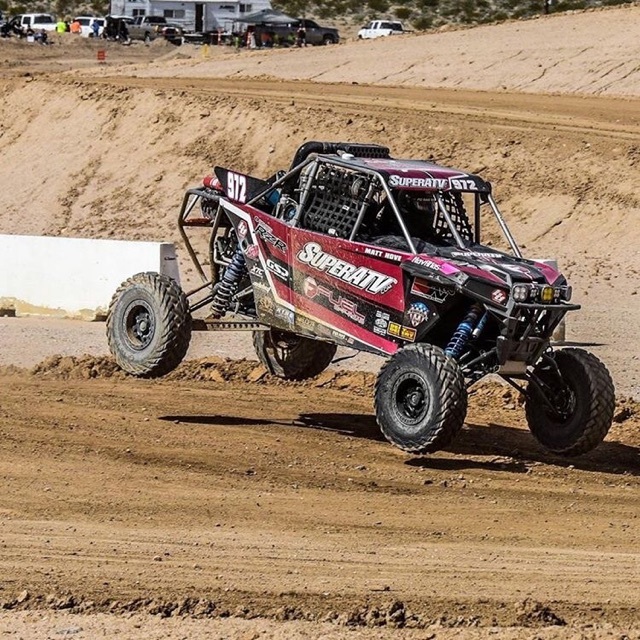 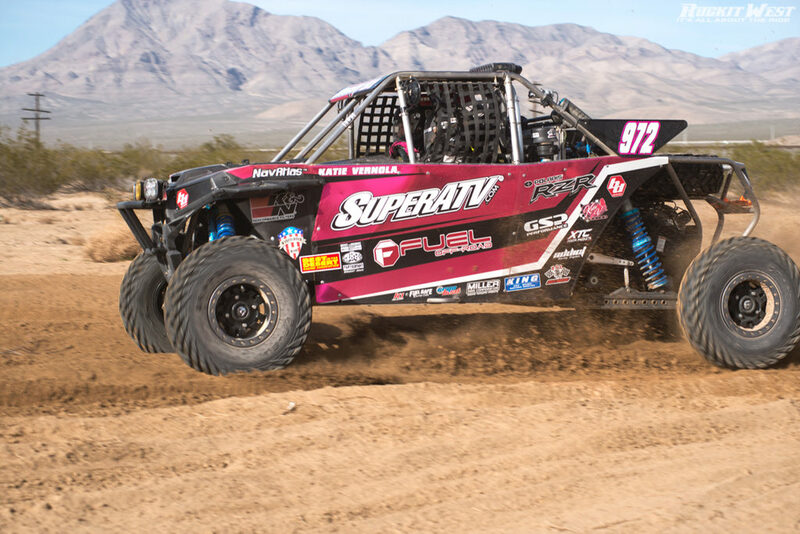 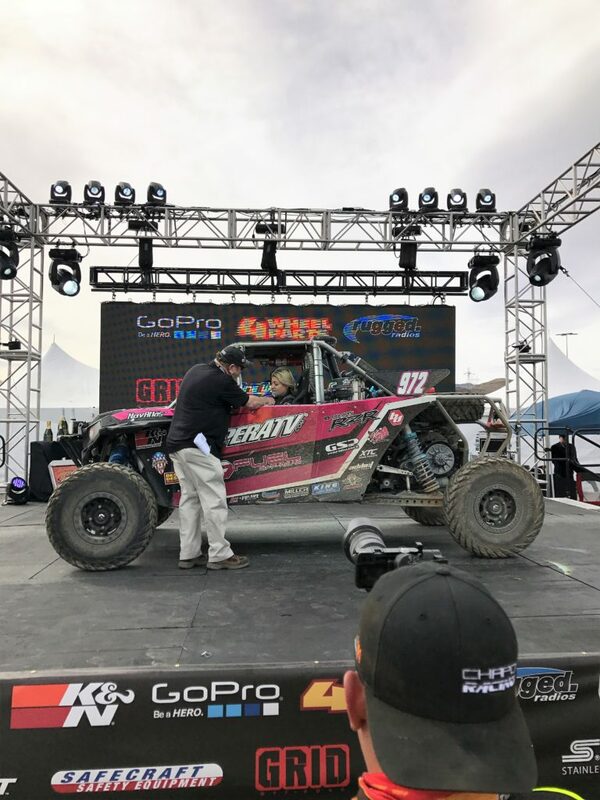 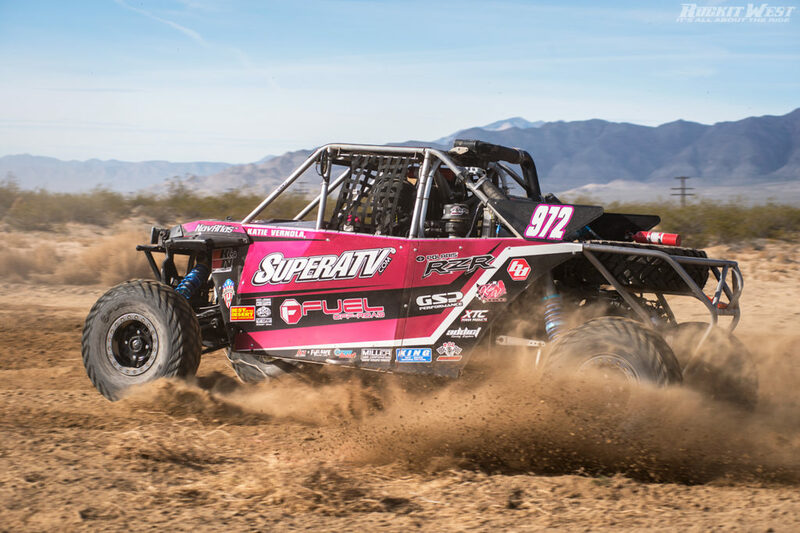 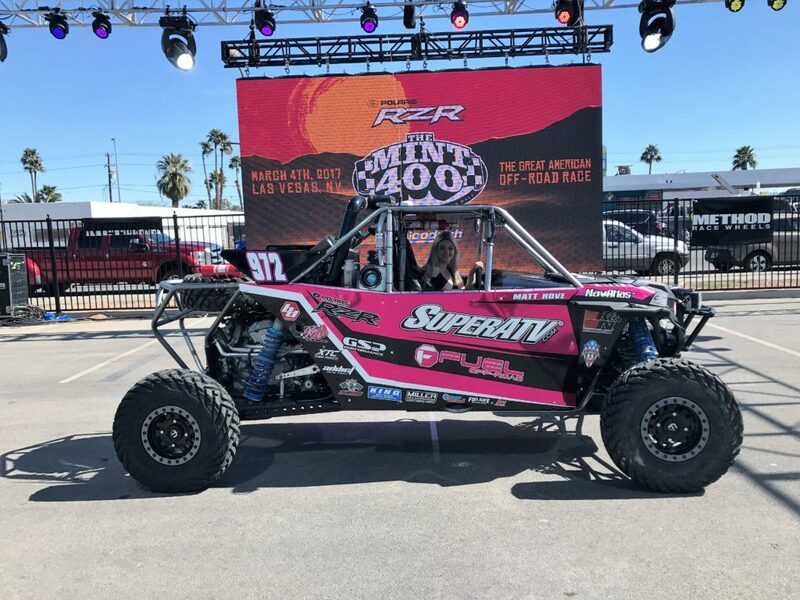 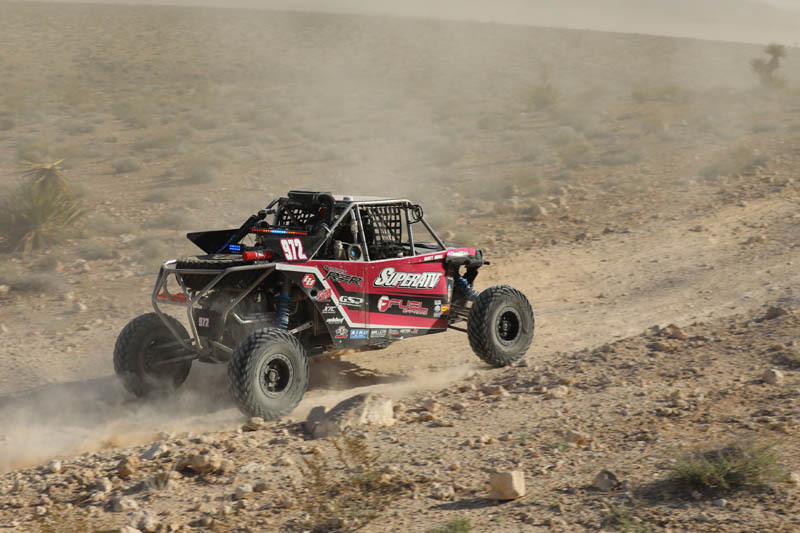 San Clemente, CA (3/7/2017) – Super ATV’s Katie Vernola overcame mechanical issues to score her first finish in the Best in the Desert UTV Pro Turbo class during the Mint 400. 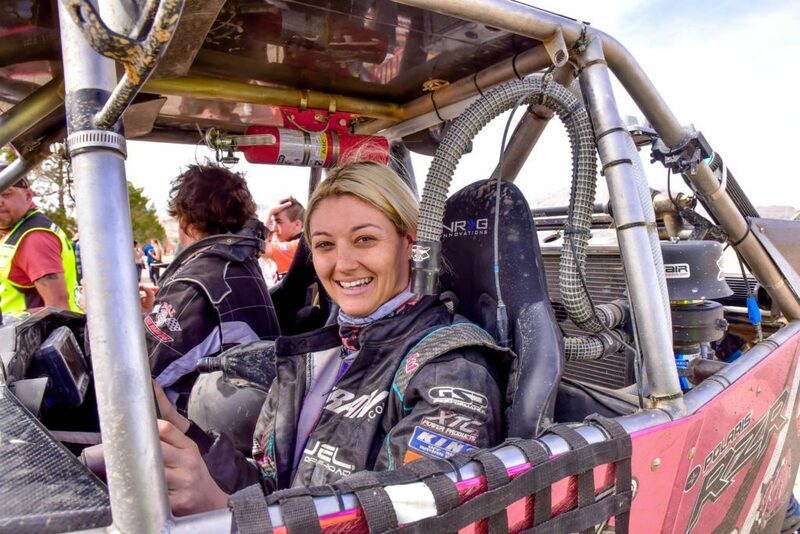 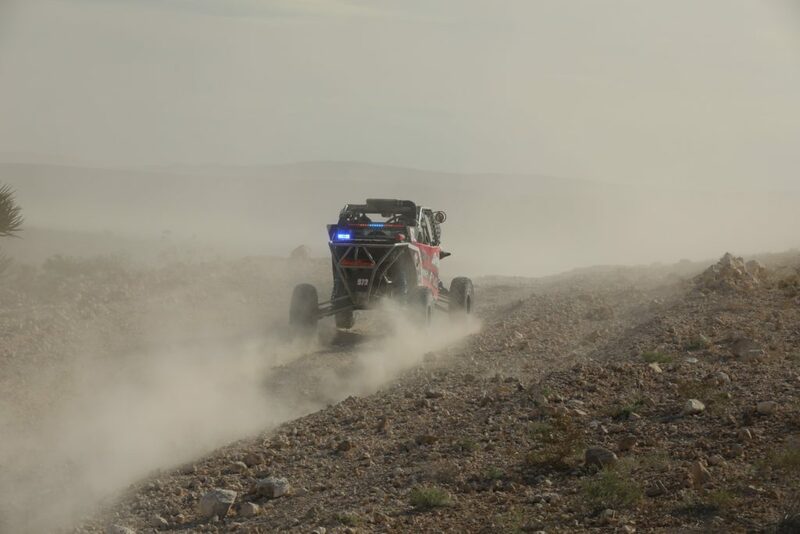 Driving a Polaris RZR Turbo, she teamed with Matthew Hove to finish 17th in the difficult race. 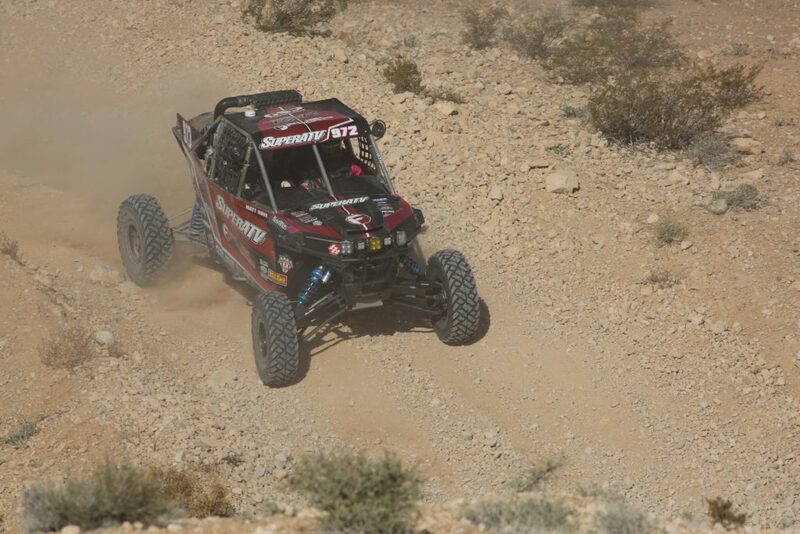 Vernola, a veteran of WORCS and Terracross UTV racing, is running her first full BITD season this year. 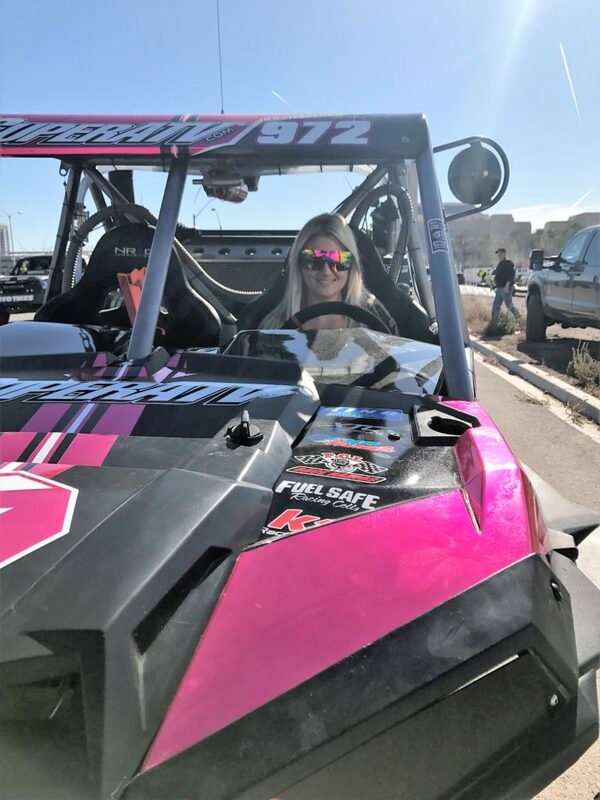 She proved she is making progress as a driver and gaining experience as she goes. 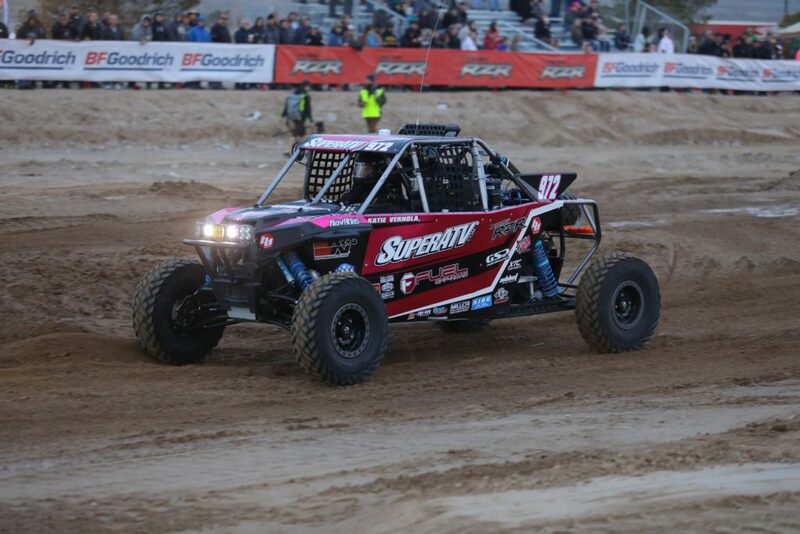 Mechanical issues slowed her charge during the first lap. 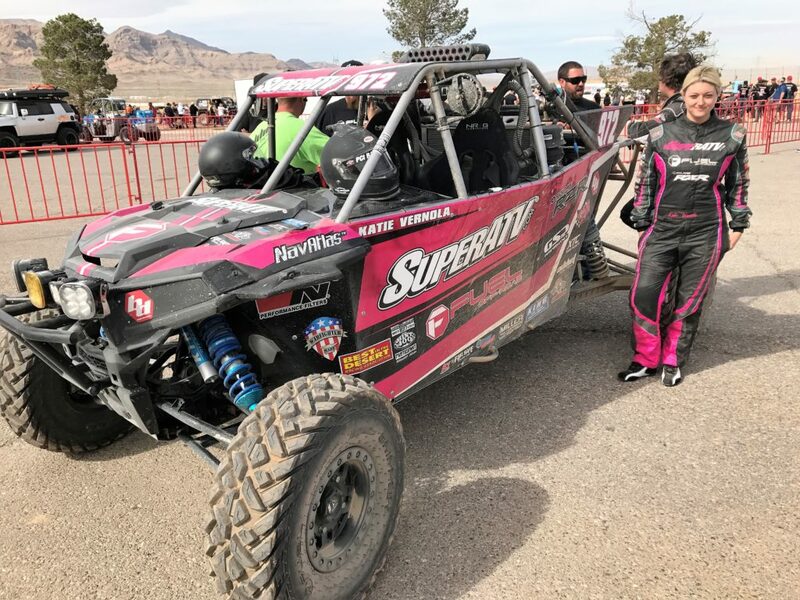 After pitting and correcting those issues, she was off and running and ran consistent and quick laps on the rough and challenging course. 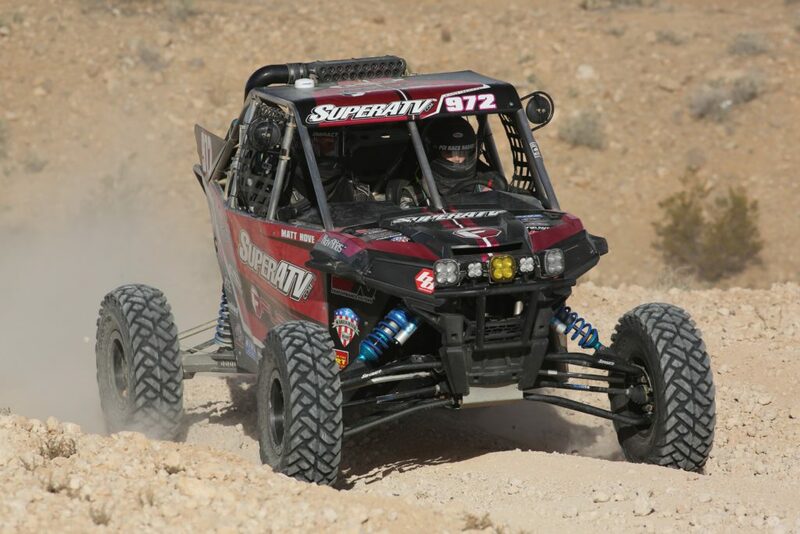 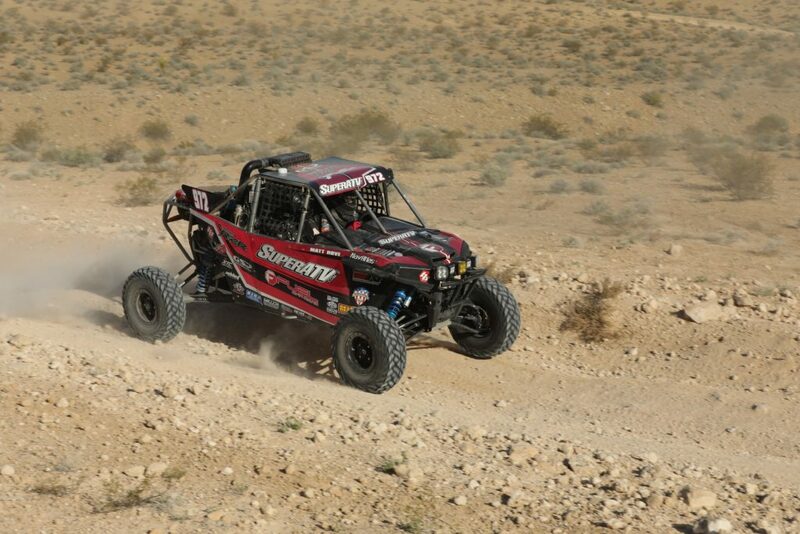 SuperATV Long travel kit and King Shocks did amazing in the roughest Nevada terrain!!! 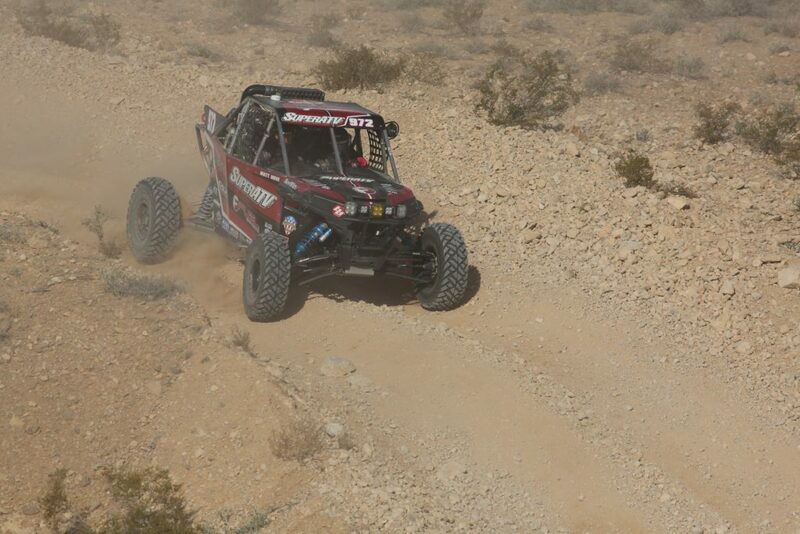 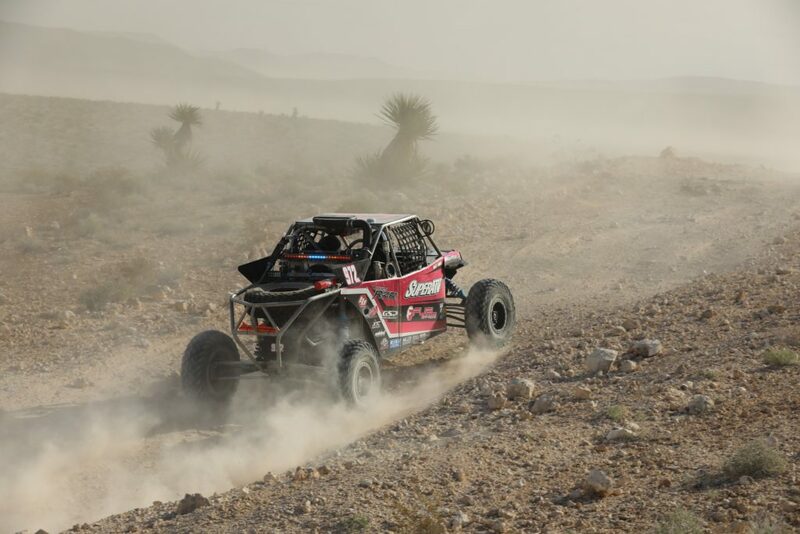 With a tune provided by Addict Racing and tires and wheels by Fuel Off Road, Vernola’s Polaris was fast on course. 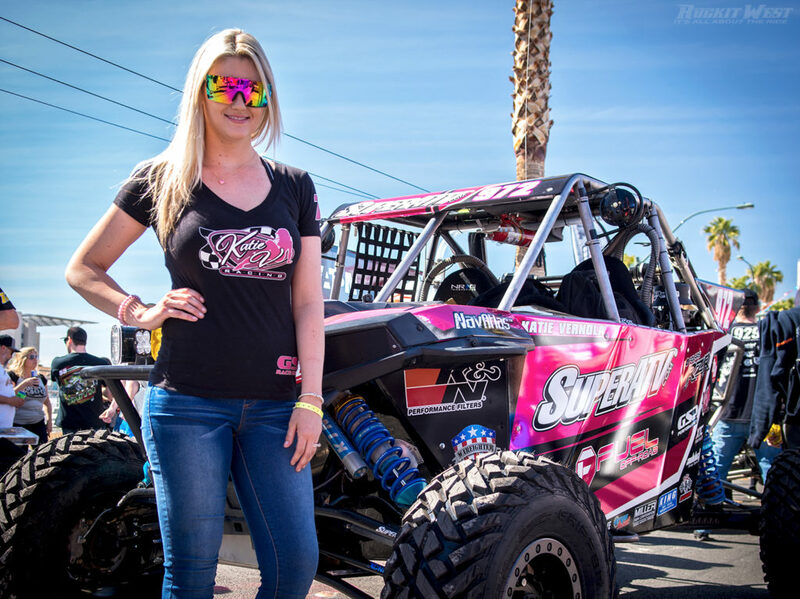 She was thankful for the sponsors that got her here, which also include Baja Design, Katie Speed Shop, XTC Power Products, and Got Sand Performance, as well as Polaris. 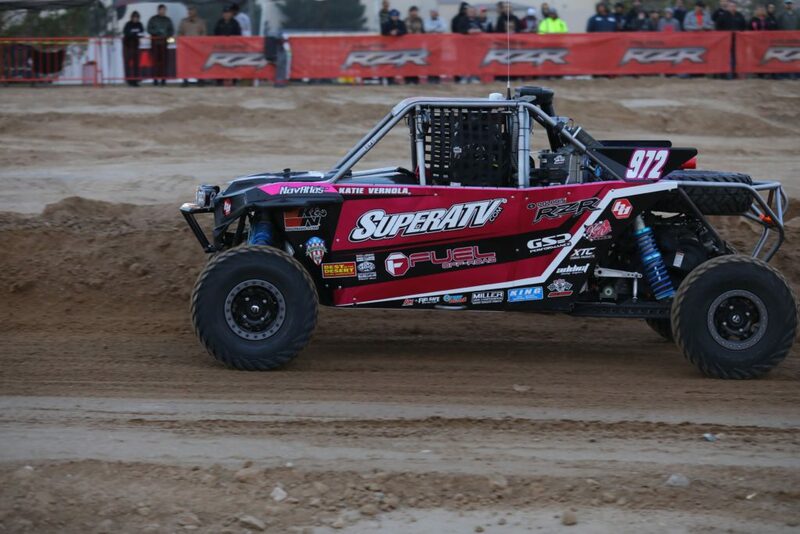 Vernola also participated in the Friday Contingency Day in Las Vegas. 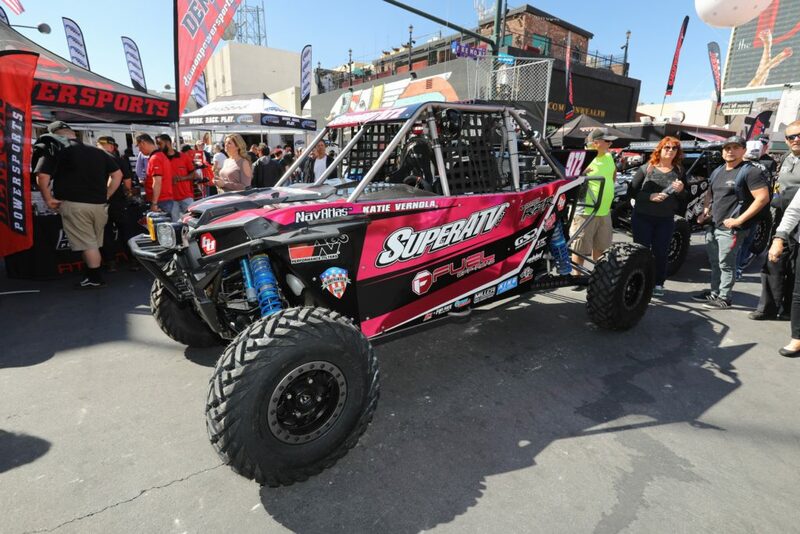 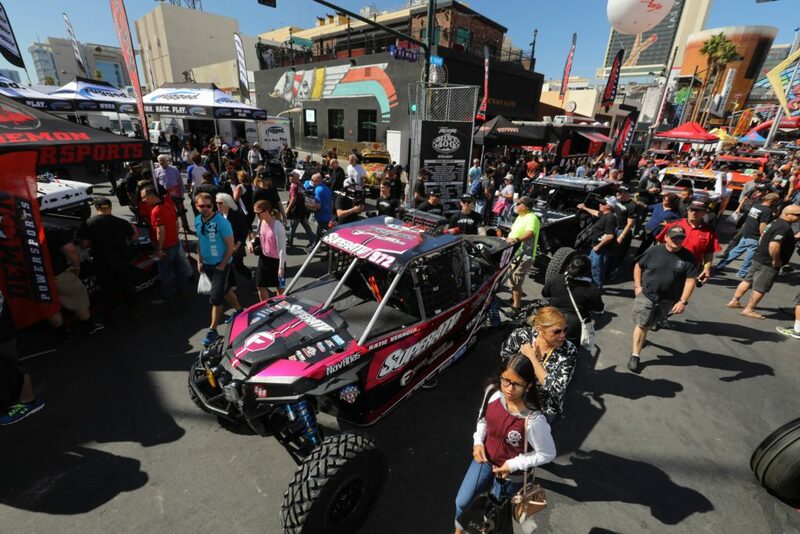 The event showcased sponsors, racers and their rides, thrilling fans on Fremont Street. 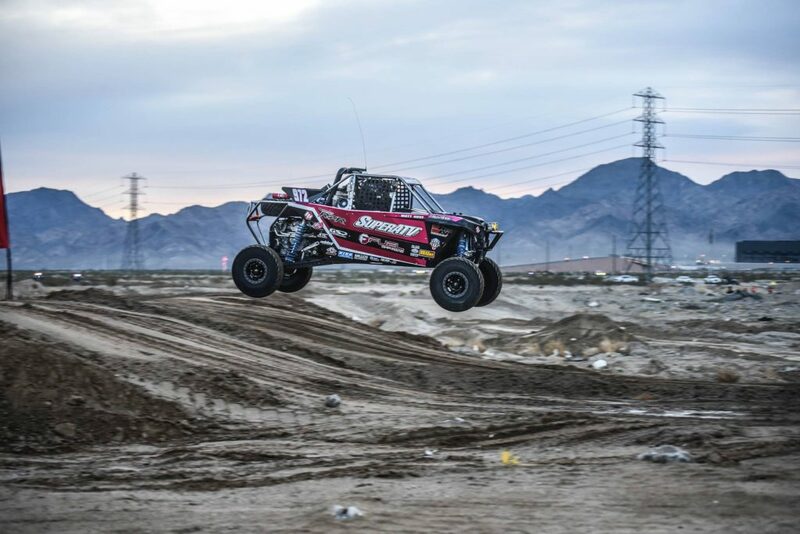 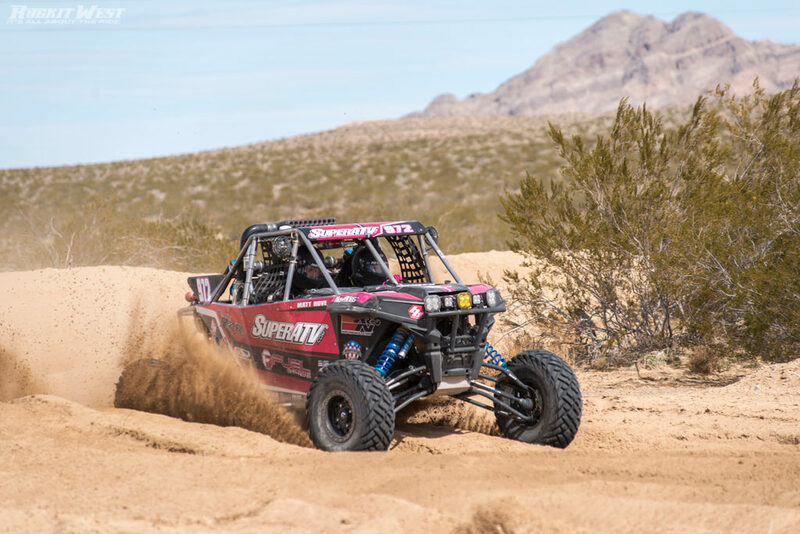 Vernola will look to build on her finish here when BITD heads to Laughlin, NV April 14-15 for the UTV World Championship. 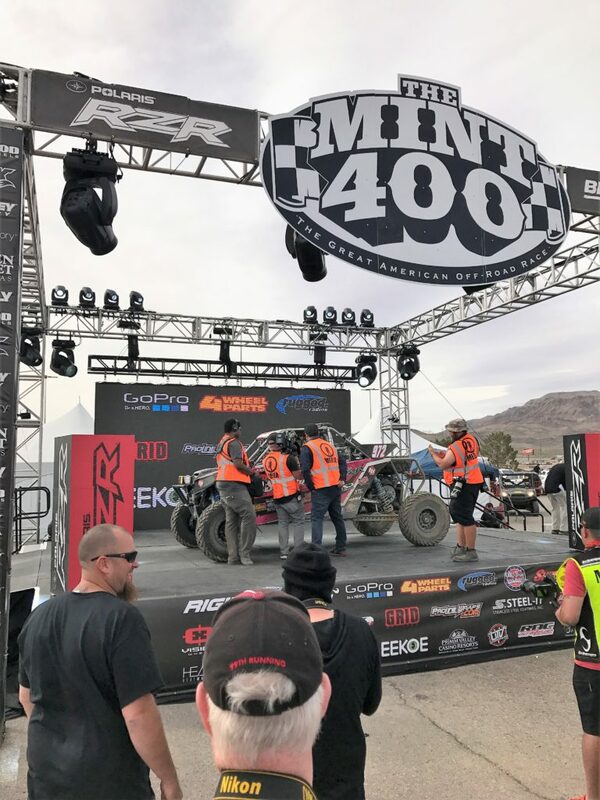 I want to thank my pit crew: Pete Corwin Niko/Angelo Skiparnias, Jay Rockow, Jim Osier and Sara Price for helping me get to the finish line! 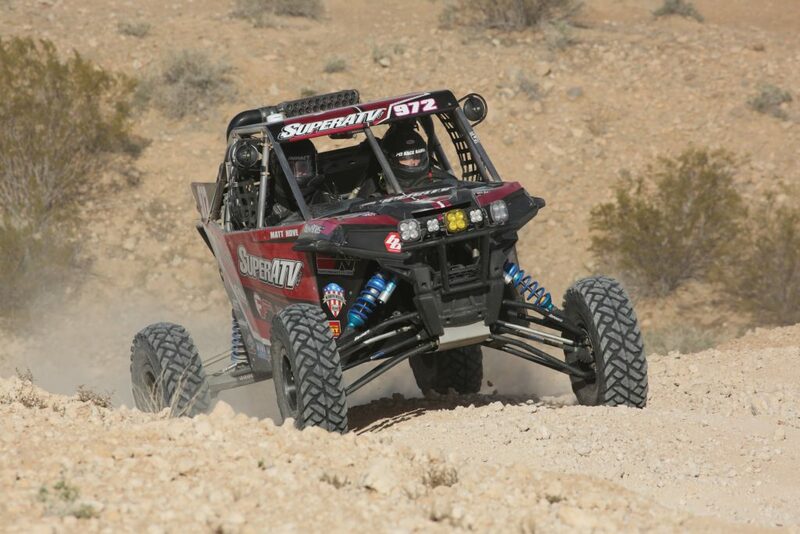 Photo Credit: Harlen with Atv Riders, Erik with SnM-Media, Nick Cress with Rockitwest.